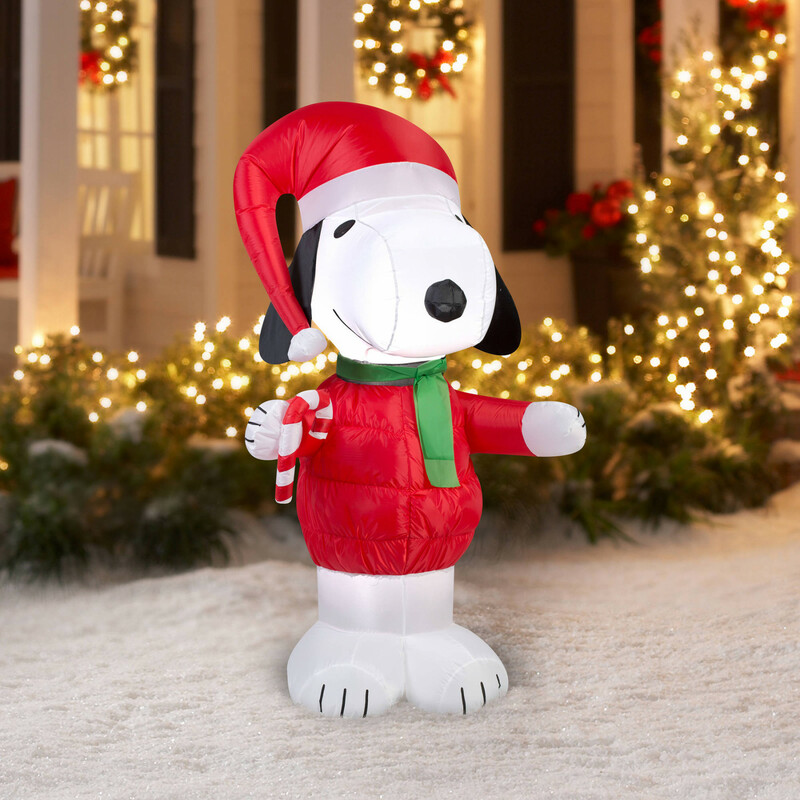 Add a fun touch to your home this holiday season with the Gemmy Airblown Inflatable Snoopy with Candy Cane. Wearing a Santa hat, this character has a smile on its face and greets everyone who travels by with outstretched arms. It comes with everything you need to set it up. 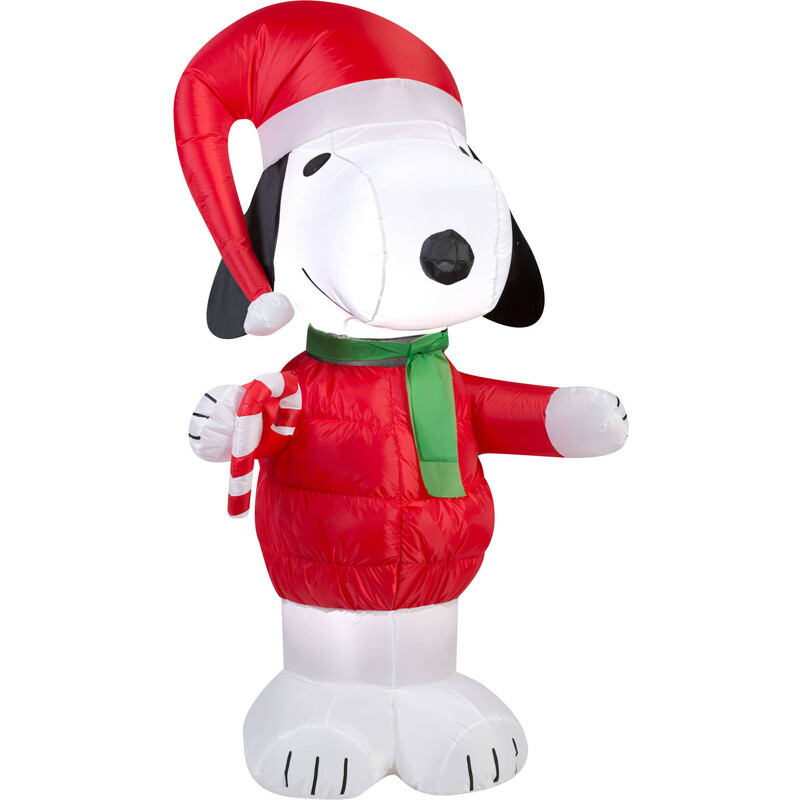 This Snoopy with candy cane inflatable decoration measures 5' tall and easily deflates for convenient storage between holidays.